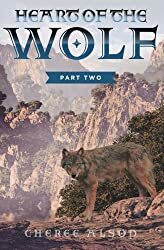 Heart of the Wolf, Part Two continues the story of Fade, Kelianna, Edric, and the rest of the family. With threats to the royal family increasing and Kelianna still betrothed to the horrible prince that she hates, Fade is fighting hard to keep his new family safe from everything that comes at them. And then, there’s a new threat from neighboring Kaidan and Fade finds out that everything there is not how it seems. Fade’s abilities as a shapeshifter, the very thing that once would have gotten him killed, may be the only thing that can save his life, and that of King Hayden, Prince Edric, and Princess Kelianna.